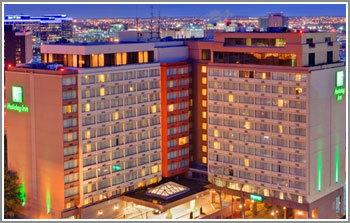 All conference activites will take place at the Holiday Inn Toronto Airport East (www.hitorontoairport.ca). The event is organized by the ELO Learning Society, a non-profit organization registered in the Province of British Columbia, Canada and operating as “Entrepreneurial Leaders Organization.” The Managing Director is Dr. Richard (Rick) J. Goossen. The vision of the ELO is to be the world’s leading organization for to equip, connect and inspire Christian entrepreneurial leaders.